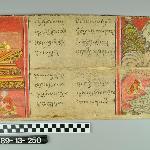 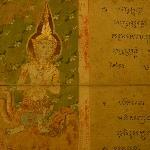 Manuscript fragment with one illuminated folio (half of a text folio and half blank on the verso) and text from the Abhidhamma. 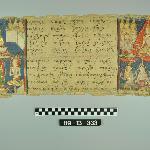 Manuscript illustrated with images of two devis. 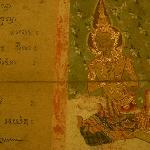 Written in Pali (Khmer Mul) in 10 lines per folio in black ink. 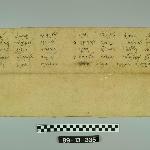 Khoi paper with text in black; originally folded concertina- or accordion-style, but now the illuminated folio is housed open and flat. 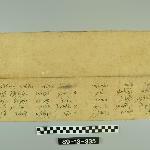 Tape or paper glued to hinge and edges on verso. 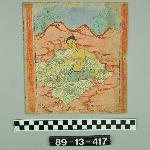 On the inner side there is script in the center and at each end there is a painting. 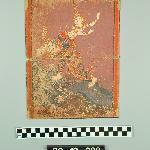 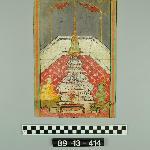 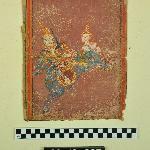 The two paintings are very similar each with a green floral background and a seated celestial figure (devi). 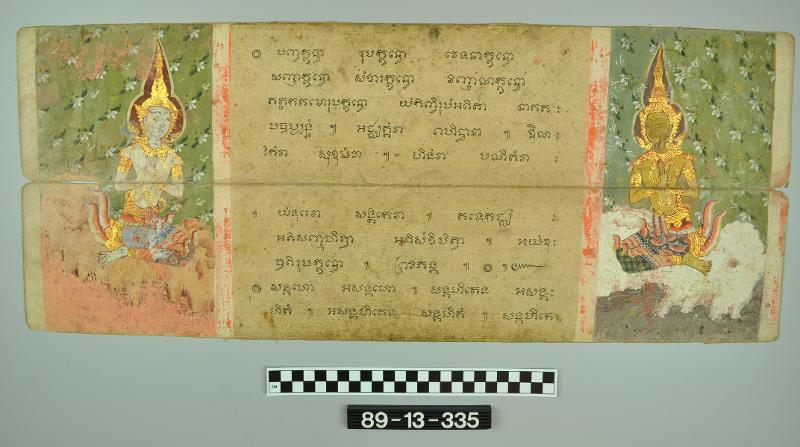 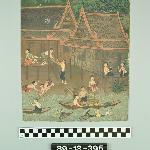 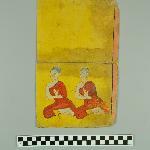 Probably written and illustrated in the 1850s or 1860s, based on the illumination colors and thin Mul script.